Our treatment philosophy is simple; to treat our patients as we would treat ourselves. 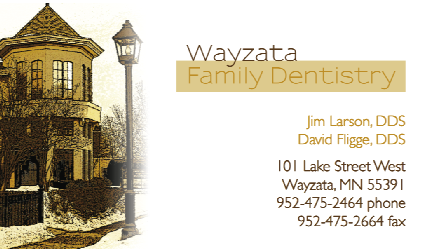 As a family dental practice we love seeing patients of all ages. We also feel it is important to stay current with the latest techniques and technologies. We are proud to offer Zoom! chairside teeth whitening as well as custom take home teeth whitening kits. Have an athlete in the family? The best way to protect your smile is with a custom made athletic mouthguard. We offer free athletic mouthguards to all of our patients.